Does "Redshirting" in the Classroom Benefit Your Child? Did you know…Albert Einstein was held back? Is your son or daughter turning 5 years old this summer? Are you considering waiting another year before sending him or her to Kindergarten? If you are, you’re among many parents who are looking to give your child better odds for success by holding him back an extra year – in other words redshirting. Redshirting is a term originally used in sports. According to Wikipedia, a redshirt is a term used in American college athletics that refers to a delay or suspension of an athlete’s participation in order to lengthen his or her period of eligibility. Academic redshirting refers to postponing entrance into kindergarten for age-eligible children. Much like redshirting in sports, the idea is that entering your child into Kindergarten a year later allows extra time for socioemotional, intellectual or physical growth. Instead of your child entering kindergarten as the youngest in his or her class, he would effectively be among the oldest in his class. In the fall of 2012, 10% of eligible children were held back from Kindergarten. What does research say about redshirting? 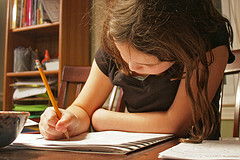 An article found in Education.com says that in the short term, some redshirted kids appear to have advantages in motor skills and size as well as an edge in academic learning in math and reading. The article also states that children entering Kindergarten later were more confident than their younger peers and were leaders instead of followers. The long-term effects in the Education.com article, showed no discernible advantages or disadvantages when holding a child back. There are some reports of misbehavior and possible boredom in later years. Some children who entered school a year older than their classmates felt alienated by their peers. Boys are redshirted more often than girls. Children born in the summer months are more likely to be held back than those born earlier in the year. The wider span of ages in the classroom could make it more difficult for the teacher to teach. Base your decision on data from screening and proper evaluation. 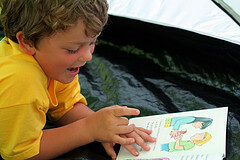 Get recommendations from your preschool teachers. Take the time to consider your child’s social and academic development. If you are told that your child is not ready to go to Kindergarten due to a learning disability, look into the benefits of early intervention. When you finally make the decision to send your child to pre-school again or let him go to Kindergarten, know that you are not alone. According to the research, there were more advantages than disadvantages with waiting another year before starting Kindergarten. What would you do?